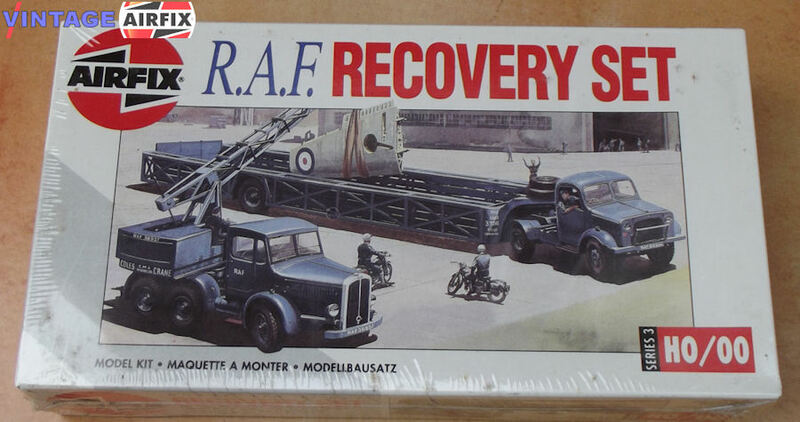 Following the success of the two previous RAF sets, this "double" consists of the well-known Queen Mary trailer with its Bedford tractor unit and a Coles crane on a Thorneycroft Amazon chassis. Two motorcycle outriders are also included. Once again this kit is ideal for the conversion enthusiasts.